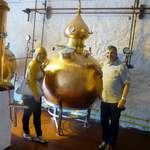 We wanted to visit Scotland’s(newest)& now smallest distillery,Strathearn,located a few miles west of Perth,so took the opportunity to pop in during a visit to family in the area. 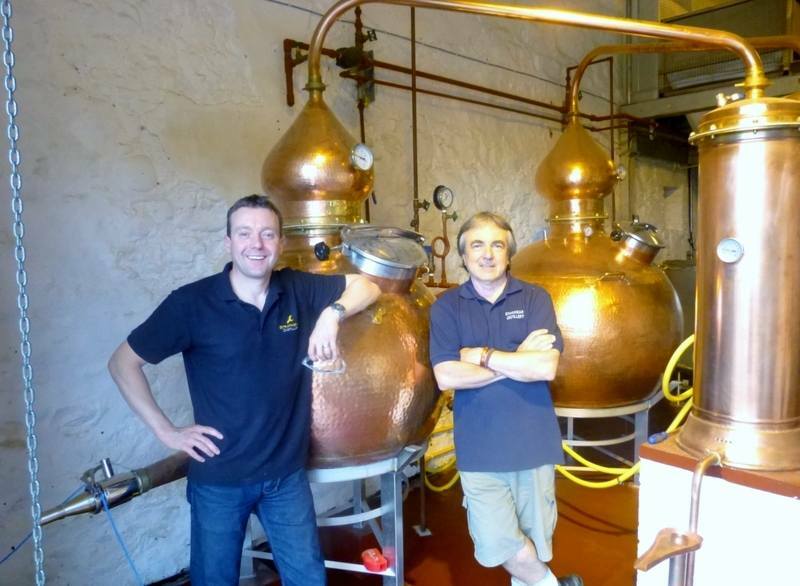 At the time of the visit the team were just waiting on their licence to begin distilling and work was still going on putting the finishing touches to this quaint old farm building,now transformed into a spick and span new business ready to commence distilling “ the water of life”. It’s set in a very peaceful rural location bordered by fields of barley which was standing proud at the time of our visit in late summer. 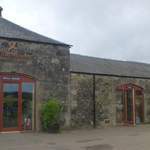 Tony and David, the two directors provided such a warm welcome, and their enthusiasm for their project was infectious, and our tour of the buildings was extremely interesting and informative. 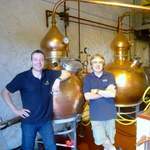 The guys were preparing for an event in Crieff the following day and Julia assisted in hand labelling a few bottles of their gin which they are currently producing and which is selling very well, stocked by Fortnum & Masons no less. 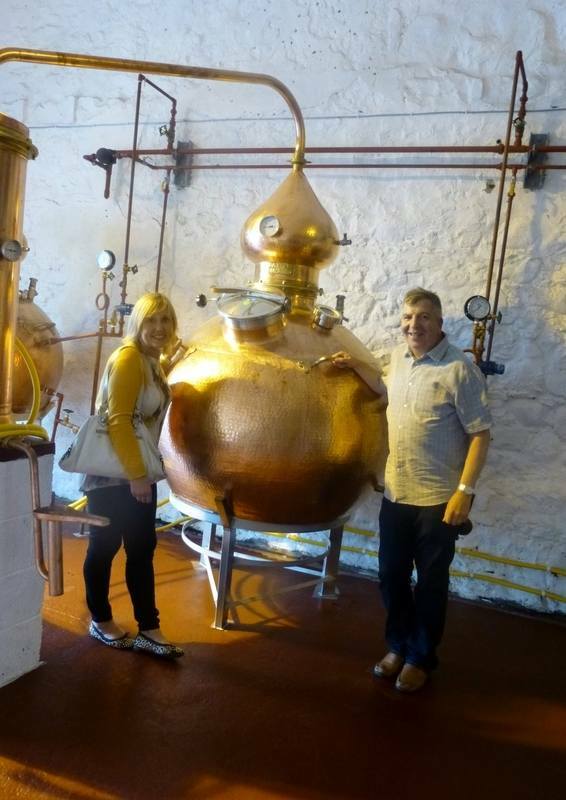 Since that visit we have now also met David Wight the distillery’s Brand Ambassador, who kindly found some time in his hectic schedule to come along to one of our events in Harrogate, entertaining our guests with the trials & tribulations of setting up this exciting project. 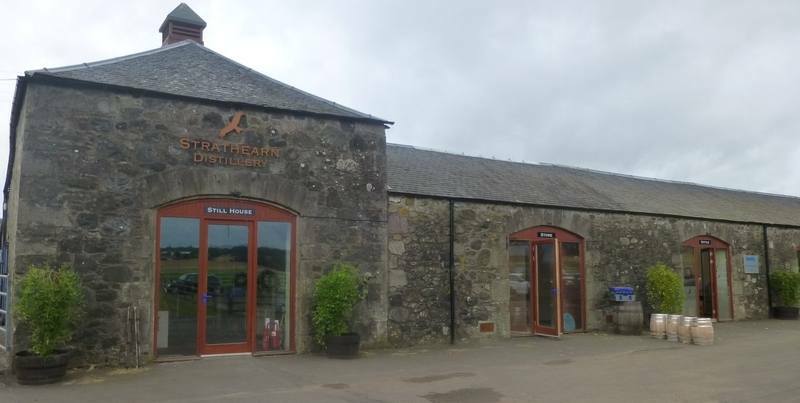 For anyone visiting, or passing through Perthshire pay a visit to Strathearn Distillery, it’s well worth the trip to see, and particularly to enjoy the enthusiasm of the team there.